If you find yourself checking your phone first thing in the morning, before even getting out of bed, you may be addicted. If you find you’re text-messaging while driving - despite the dangers, checking your phone instead of working on an important assignment, or checking Facebook, Instagram or Twitter during a romantic dinner, you are definitively an addicted. It's hard for most people to imagine life without constant access to the internet. But for some of us, living without the web is simply IMPOSSIBLE to imagine.The amount of time we engage in online activities, like updating statuses, posting photos, commenting, texting or checking work emails has been increasing in recent years. Given the accessibility and ease of use of internet whenever and wherever you are, it’s no wonder more and more people are addicted to their phones. How do you know if you’re already addicted or rapidly tumbling toward trouble? Now there's a smartphone app (ha!) that will answer that question as well as help smartphone addicts learn how to live a ‘healthy digital lifestyle.’ The app, called BreakFree, tracks the amount of time you spend looking at your phone, and gives you a heads-up when it might be time for a break. It will help users measure which apps they use the most and beat their possible smartphone addictions. It’s like having a rehab coach who tells you when you've been making an excessive number of calls or have been spending too much time in a particular app. With these notifications you will know it's time to slow down. Do you think that you’re addicted to the internet but overall you use it in moderation? Have you had at least two conversations with actual human beings today without glancing at your phone? Have you found yourself up late last night playing on your phone, whether it is video games, Facebook, or text messaging? 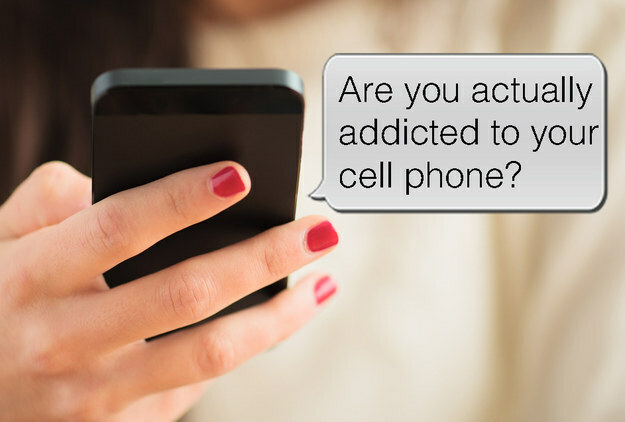 Here are ten warning signs that will tell you if you are a cell phone addict. Every mobile device in the world, whether it’s a cell phone or a tablet, has a unique serial number known as the IMEI (International Mobile Equipment Identifier). In a growing number of countries, operators enable consumers to report a mobile phone or device as lost or stolen using the device’s unique identity number, the IMEI. The operator can block the phone from their mobile network, which is called IMEI blacklisting. Participating operators have an up to date Device Check database which contains the IMEI for devices reported as stolen or lost, as well as the device model and capabilities. Groupe Speciale Mobile (GSM), established in 1982, defines the GSM standard as the internationally accepted digital cellular telephony standard. Global mobile connections now exceed some 10 billion connections, and as of 2015, exceeds the total population of the globe. 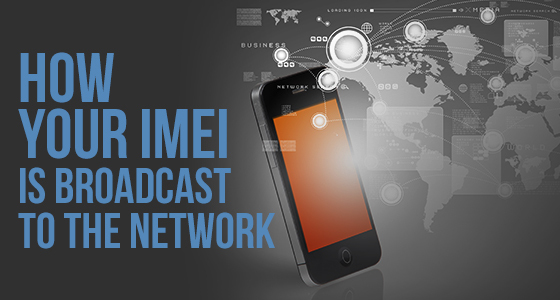 As a means of controlling this vast number of global connections, which is increasingly important in an age of international organized crime and terrorism, blacklisted IMEIs are provided to the GSMA central IMEI Database which allows operators to exchange data and to block devices on multiple networks both nationally and internationally. Each time you make a call your SIM card immediately identifies you as a subscriber to that particular carrier. If your account is in order, then you can make the call and use the services of your service provider. Before that can happen, however, the network will check your phone’s IMEI, which is a number that is unique to every GSM handset. Like IMEI, Code Division Multiple Access (CDMA) devices also use something similar called an Electronic Serial number, or ESN. The IMEI or ESN identifies the phone to your carrier and it checks that the handset is valid to use. If the phone is locked to another carrier or if it’s lost or stolen your service provider can use the IMEI to “blacklist” a device which means you won’t be able to make calls. So for example, it’s the IMEI, and not your customer profile that lets a large carrier such as T-Mobile or AT&T know that you are using an iPhone. Even if you switch to a different type of phone, a BlackBerry or an Android, your service provider will know which phone you are using. Even when you jailbreak a phone, your IMEI will still give your chosen service provider the information they need to know. Each time you switch your phone on or attempt to make a call, the network systems check the IMEI number of the handset you are using as soon as you insert a SIM card. 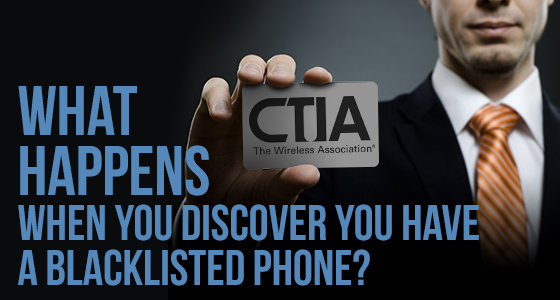 In the USA, the cellphone blacklist is operated by the CTIA, which works with leading cellphone providers including AT&T, Cellcom, Nex-Tech Wireless, Sprint, T-Mobile USA, and Verizon Wireless to provide a vast database of blacklisted phones. They are also linked to the GSM IMEI database. 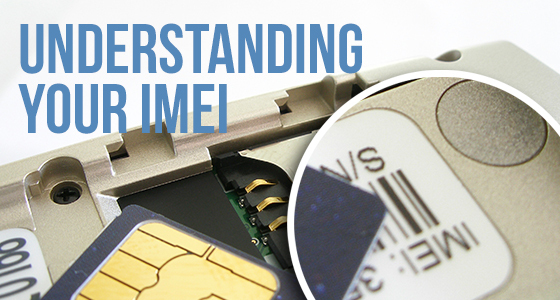 In the UK, when the SIM card is inserted, the IMEI number of your handset is cross referenced with the Central Equipment Identity Register (CEIR), which is also known as the IMEI database. If the IMEI number of your handset is on the CEIR/IMEI blacklist then the network will either refuse to send a signal to your phone (No signal strength at all or will supply a signal but will not allow any outgoing or incoming calls. If your IMEI number is on the CEIR your handset is blacklisted and therefore of no use to you or anyone else except for spare parts. Despite huge efforts by service providers and international cellphone network organizations to clamp down on stolen cellphones, inevitably the system has its shortcomings and criminals can still get around the blacklist database by sending blacklisted handsets overseas. Which is why cellphone theft still tops the list of stolen items. It’s a crime worth billions every year to international organized crime syndicates. The so called petty criminal who pickpockets your handset while you gaze into a shop window could be passing the phone on as his part in a global crime syndicate. Also, IMEI’s can in some circumstances be changed or rewritten. Don’t be tempted to try it, it’s against the law and will result in a jail term, but it still goes on. Another major reason criminals want to get hold of your cellphone is not just to sell it on the international market, it’s the chilling fact that while 77% of users use their cellphones for online banking transactions, less than a quarter of these have any type of security on their phones! Accessing sensitive banking details on an unprotected cellphone is much easier than robbing a bank! There are also several examples of incomplete data with all of the blacklist databases because the submitting of details is still voluntary. For example, a handset that is barred in the USA could still work in Mexico and vice versa, and a cellphone bought or stolen in the UK can work in a different country. A large number of UK barred handsets find their way to Italy, Spain and France. Buying a used cellphone can be a great idea: you can save money, obtain an already unlocked phone, or buy a brand or a particular model you couldn’t otherwise afford. It sounds ideal, but unfortunately, buying a cellphone that is blacklisted can mean not only is your phone completely useless to you, you could potentially end up with a knock at the door from the police asking some difficult questions. Think it can’t happen to you? In 2013 over 3.2 million cellphones were stolen in the United States alone, double the amount stolen in the previous year, so this is a fast growing problem. It means millions of cellphones are out there being advertised daily on online auction sites and listing sites around the world that could well be stolen, and you won’t know anything about it until you arm yourself with what to look for and what questions to ask. If you are buying a phone online, and amazingly, 74% of consumers do, and you see one you want to buy on an auction site or a listing site, first determine whether the phone in the picture is the exact same phone you are actually being offered. No matter what site you are on you should expect to be able to glean some basic stats about the phone: the color, the correct model number, its storage capacity; all these are vital details in the device description. The next step is to see if you can contact the seller to ask for the IMEI, if he or she refuses to give you this important piece of information, be wary and walk away. It could mean they have something to hide, and the fact is, there are so many other options you could explore rather than running the risk of a blacklisted phone. For example, Amazon and eBay have a safeguard of profiles and seller reviews that make them more trustworthy than buying from unmonitored websites. Also, Swappa and Glyde, have policies and safeguards in place for buyers. For example, Glyde holds the seller’s payment in escrow until the buyer has checked the device and confirmed that it’s clean and offers a full refund policy if not satisfied. If you pay for your phone through PayPal or with a credit card you should be able to obtain a refund if the phone proves to be blacklisted. If you are buying an iDevice, Apple now has a service on iCloud.com called Check Activation Lock Status. This enables you to quickly see if a device was obtained illegally. If you have managed to obtain the IMEI serial number from your seller, you can tell if someone used ‘Find My iPhone’ to switch on Activation Lock. Activation Lock was introduced in iOS 7. It locks down the device, making it unusable until the correct Apple ID and password have been entered. So if you do purchase a bad Apple so to speak, you won’t be able to use it. You can also check how much warranty is left on the device by checking the serial number too. Buying a cellphone online is always a case of ‘buyer beware’, which is essential for any major purchase from a complete stranger on the internet. So it really is very easy to do some basic homework before you allow yourself to become stuck with a blacklisted mobile phone. If in doubt you can also check with the service provider that is hosting the phone or even your own current provider. You can quickly look for free IMEI services in your own country by checking on the internet. There is also a paid for service called Checkmend but beware, if you use this site and the IMEI is blacklisted, you might just be approached by your local Law Enforcement agency who have direct access to the searches made on the Checkmend website. This could result in an unwanted visit to the police station at an unsociable hour of the day. What to do once you are certain your phone is not blacklisted ? This is the easy bit. If you obtain a clean cellphone but you are not happy with the service provider that is hosting it, or you simply want an unlocked phone, UnlimitedUNLOCK offers the web’s largest database of service providers and cellphone models that can be safely, quickly and economically unlocked via remote unlocking, and it can all be done in a matter of minutes. Also, UnlimitedUNLOCK won’t be beaten on price, so if you find a genuine deal elsewhere that unlocks the same model for less, UnlimitedUNLOCK will match it or beat it! Buying a new cellphone can be a fun and rewarding experience provided you exercise caution and know your facts prior to purchase. Study this article well, ask questions, don’t be fobbed off and walk away if you are in the least bit suspicious. Also, let your friends know about this article by sharing it. We know it’s hard to live without your devices. 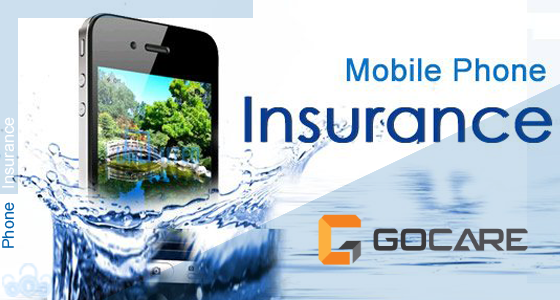 That’s why GoCare Insurance is one of the industries leader, they get them back to you fast and good as new. GoCare started in 2010, they have protected close to a million devices. They provide peace of mind to mothers, fathers, sons, daughters, teachers, students, employees and executives across the US. Their protection plans are a great value, easy to use, have transparent coverage details (no “gotcha” moments)…and we have an amazing US based customer care team! They take the stress out of challenging situations for their customers and providing solutions that keep their mobile lives on track. Their founder started out as the owner of a small repair business that was run out of his parent’s garage. During that time, the idea of offering protection plans began to take root. Once the seed was planted there was no stopping its growth and soon the small repair business was sold and the protection plan company, GoCare, was launched. The business was nurtured and continues to grow. GoCare is now expanding its product offering copetative plans to fit all customers budgets and needs. They know it’s hard to live without your devices. That’s why GoCare Insurance is one of the industries leader, they get them back to you fast and good as new. UnlimitedUNLOCK has added to the server a NEW service|tool Apple iCloud ID Removal - All iPhones including iPad WiFi| iPod Touch | Apple Watch | MacBook | iMac Service is working fine [Monday to Friday] and support absolutely all APPLE DEVICE ! This is a new exclusive service from UnlimitedUNLOCK Server, This service will remove the iCloud Lock. Before placing order please make sure the device "iCloud" is ON https://www.icloud.com/activationlock ! This service is an iCloud Lock Removal, It does NOT unlock. Unlimited UNLOCK Your Direct GSM UNLOCKING Source! Unlimited UNLOCK is your Direct UNLOCKING Source that can provide you with API Connection, Untouchable Customer Service (24/7 English & Spanish via Skype, Email, onsite Chat & Phone), Low Prices (we will Match or Beat) and Rocket Speed Turn Around Delivery! Do you have BULK Orders to processes ? Contact Us for BULK Order Pricing. Many other Services / Tools have been updated, prices have been reduced and delivery time adjusted LOGIN to your account to view the rest. Direct Source for ALL Your Unlocking Needs. REMINDER: Remember WE DO NOT charge PayPal Fees like others! Recently in the unlock market, there are full of fake official services ! Recently in unlock market there are full of fake official services, which actually are done by Worldwide Unlock Service. Please note that worldwide unlock service is NOT a permanent unlock and IMEIs can be relocked at anytime even after few months. This year there is a rumor claiming that the current Worldwide Unlock Service, stating that the phone won't be relocked and the Worldwide Unlock Sources giving promises to resellers "there will be no relock". People start selling it as 30 days warranty, 3/6 months warranty etc, and finally many people use it to pretend genuiue unlock services. There are few unlock services that can be confirmed as Worldwide Services including "USA T-Mobile Premium", "Japan Softbankv", "Japan Docomo", which we have never started, some people now even do it with Sprint Premium, Japan AU, AT&T Premium. The point here is simple, no matter what promises they gave you, They will not, and are not able to return millions of dollars for relocked IMEIs, and can just close their business and disappear. This problem is very serious since many unlocking sites are using the Worldwide service(s) and once IMEIs start relocking, they will disappear like the wind and many people will be affected. Here is a warning to all of you!!! Think and choose your path wisely, either bet your business in short term profit or keep doing business long term processing the proper way. We are only selling purely Genuine Unlock Services by carrier channels as usual and will not touch any of those Worldwide Unlock Services. Hope you all understand what's going on now. There is no needed to ask us for the price and time difference with other unlocking sites. Its your own choice and you can judge are they using worldwide service or not. Take advantage of Samsung perks. Samsung Galaxy S7 and S7 Edge top the Note 5 for best performing smartphone display ever. Samsung continues to lead in smartphone display technology and after six months as the king, the Galaxy Note 5 was dethroned by the new Galaxy S7. If you’re like everyone here at UnlimitedUNLOCK, you’re excited beyond words about this year’s new flagship devices from our favorite manufacturers. The new Samsung Galaxy S7 and S7 Edge look to once again raise the bar for what we can come to expect from Samsung’s devices. The new Samsung Galaxy S7 is slim, but in a big way. It looks the part, with a 5.1 inch Quad HD Super AMOLED screen protected by scratchproof 3D glass. The sleek glass and metal, refined and streamlined with ergonomic curves, ensures a comfortable, secure grip. As for performance, it’s huge, with more advanced cameras, more responsive software functionality and superb connectivity to enjoy the full gamut of products, services, and online experiences. The phone comes with a microSD card slot upgradeable to 200GB and fast wired and wireless charging technology. As a practical phone to carry with you, the Samsung Galaxy S7 received an IP68 rating to make it water resistant to spills, splashes. Even dropping it in water won’t slow down the Galaxy S7. Taking pictures takes on another dimension. Compare it with other phones of lesser quality and immediately notice the revolutionary world first of Dual Pixel technology which produces crisper, richer colors from a brighter lens with a wider aperture for great shots even in low light. The front facing camera is 5MP while the rear camera offers 12 MP with fast auto focus. Gaming performance has also gone large with big updates to software and the optimization of gaming performance. The 4GB RAM and 32GB ROM processer and bigger battery capacity puts PC power in the palm of your hand to ensure longer playing time, while the internal cooling system keeps the device from overheating. The new add-on for gamers, Game Launcher, allows users to manage battery consumption and minimize notifications. The 4G LTE Galaxy S7 offers a seamless mobile experience with the new Gear S2 Classic to monitor fitness, or the connection with Gear VR to “travel” the world. Additionally, Galaxy S7 users can make payments with Samsung Pay, secured by Samsung KNOX. 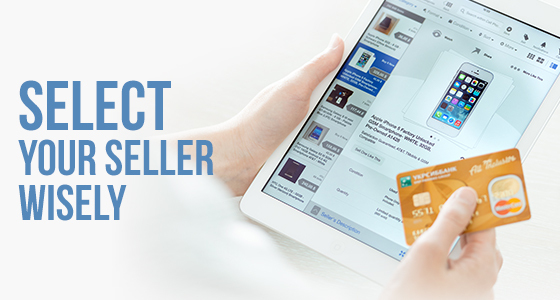 It’s easy-to-use and accepted almost anywhere, making mobile payments available to more merchants and consumers. 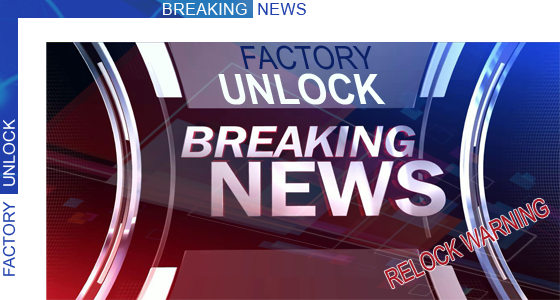 UnlimitedUNLOCK.biz the #1 Online Cell Phone Unlocking Company in the World. When your phone is locked with “Mobile Device Unlock” it’s totally useless to order an unlock code. Our thoughts turn gratefully to those who have made our progress and success possible. Our Platform has been built and refined, thanks to our years of experience! 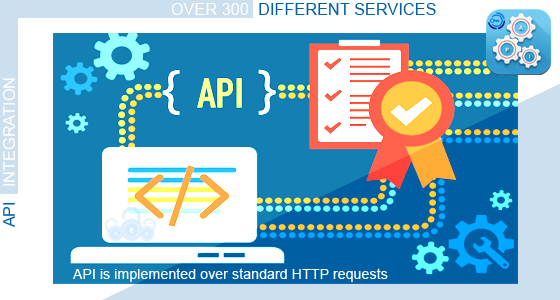 Unlimited UNLOCK is proud to present a new and very innovative feature called API for Application Program Interface. Stop wasting your precious time today ! It reduces you from manually submitting orders or returning orders to or from your customers, as well as increase your whole system reactivity and productivity. Thanks to the new API you can do so, by simply entering our easy to use API script on your current website or API Key and deploying. IMEI or MEID – The serial number of the phone concerned by this delivery. Comment – The comment field as you entered when placing the order. Service Name – The friendly name of the UnlimitedUNLOCK service used to process this order. Status – Either ‘Delivered’ or ‘Unavailable’ indicating whether we were able to calculate a code for your phone. Code – If Status is Delivered, you will find the Unlock Code here. Callback URL – The URL that is being called with this data (needs to be here for technical reasons). The listening script uses this information to process the order on your side ! You don’t have to call the UnlimitedUNLOCK server on a regular basis to check the status of your orders anymore, which will save you a lot of trouble as well as precious resources. Please make sure that your listening script will return an HTTP OK code and that the reply contains the string , otherwise we will consider that your server is down and attempt to resend the notification for up to 12 hours ! To setup your API, just go to the “API Settings” section of your UnlimitedUNLOCK account. If you have BULK Orders Contact Us! Copyright © 2015 Unlimited UNLOCK | UnlimitedUNLOCK.biz. All rights reserved. First, we want to Thank You!!! :) We appreciate and honor your business and loyalty ! WE CAN PROVIDE BEST PRICES FOR RESELLERS DOING LARGE ORDERS !!! It is our goal to provide the highest quality services to help your business grow. Your success is our success!!! as we are the direct source for all your unlocking needs. 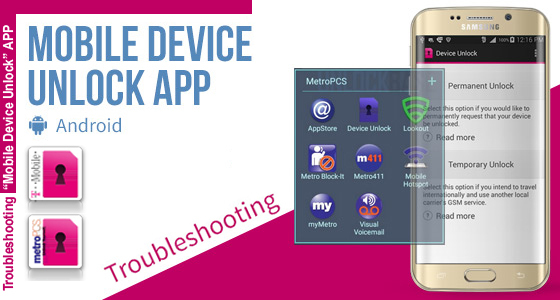 T-Mobile - MetroPCS USA - Mobile Device Unlock APP -_- Backup and Running ! First, We like to apologize to all for the inconviniences. As you may all know this was a GLOBAL issue, as we have been told the servers were under maintanance (update). SECOND, We like to thank all of you our loyal customers, who have been with us in good and bad times. We appreciate your patience, loyalty and business! THIRD, We glad to inform that the services are BACKUP and RUNNING again. Please be patient as all orders are being completed and should all be completed soon and up to date. If you should have an order that was not completed by the end of the day, please open a support ticket from your portal with the IMEI numebr and we will take care of it immidiately for you. Thank you for your patience, understanding and most important your business. 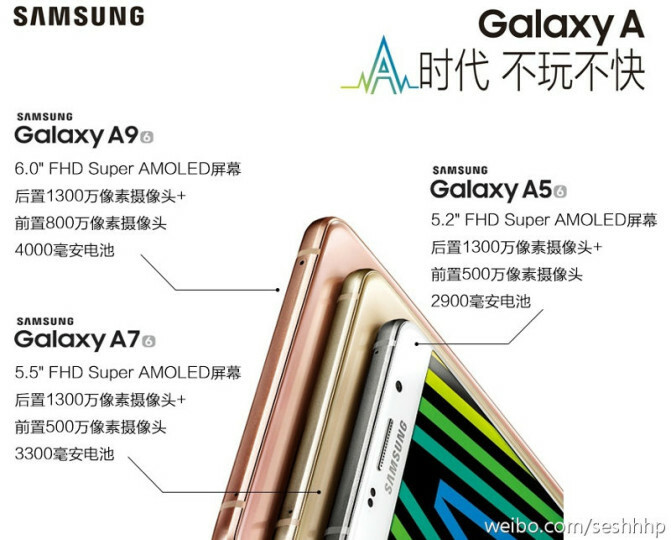 Earlier this week, it was reported that Samsung has announced the Galaxy A9 in China during its Galaxy A Party 2016 event. The Galaxy A9 is the most high-end smartphone in the Galaxy A lineup from Samsung, and it was leaked a number of times in the past few weeks revealing its specifications as well as physical design. The Galaxy A9 features a huge 6-inch 1080p Super AMOLED display with 2.5D curved glass, a 13-megapixel primary camera with OIS and ƒ/1.9 aperture, and an 8-megapixel secondary camera. It runs Android 5.1.1 Lollipop, and comes equipped with a 64-bit octa-core Snapdragon 652 processor, which is coupled with 3GB RAM and 32GB of internal storage space. There’s a microSD card slot as well and it supports cards of upto 128GB capacity. Even though the device is just 7.4 mm thin, Samsung has managed to pack in a huge 4,000 mAh battery in it, but its non-removable. However, such a huge battery shouldn’t give anyone a chance to complain. 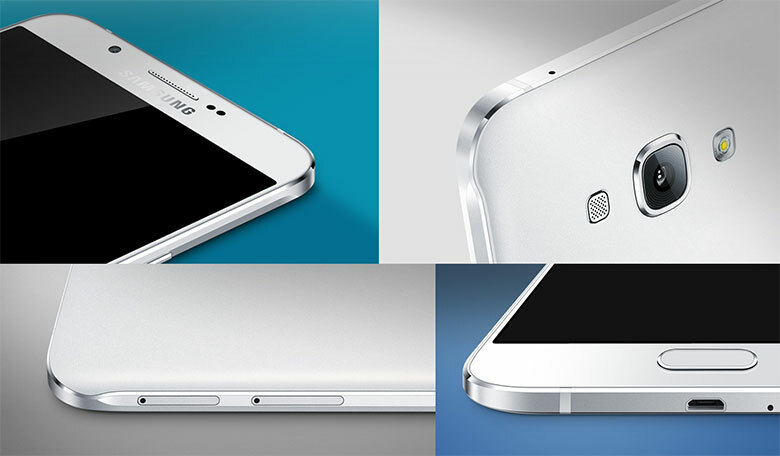 The glass-and-metal design of the Galaxy A9 is similar to what Samsung brought to the table with the Galaxy A5 (2016) and the Galaxy A7 (2016). There’s a fingerprint sensor that’s embedded into the physical home button. The Galaxy A9, similar to other recently launched high-end devices from Samsung, comes with Samsung Pay. The company also showcased the recently announced Galaxy A5 (2016) and Galaxy A7 (2016) during the event along with the Galaxy A9. The device will be available in China later this month with pricing being confirmed at a later date. 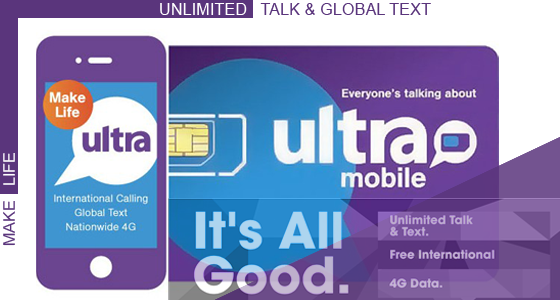 Ultra Mobile a T-Mobile MVNO which launched in October 2012. Right now the T-Mobile MVNO Ultra Mobile seems to be the US prepaid company most attractive! Ultra Mobile is a company dedicated to creating innovative, authentic mobile communication experiences for people around the globe. They offer communication plans that break down barriers and allow their customers to easily and affordably connect with their communities – no matter where they may be. Ultra Mobile focuses on delivering convenient and cost-effective unlimited talk, text and data services for the estimated 40 million foreign-born people living in the United States who regularly call or text internationally to stay connected with family and friends around the globe. They strive to develop meaningful, mutually rewarding partnerships with their customers, retailers, distributors and co-workers; creating differentiated communication products that better their communities, their families, their businesses and the global communication industry as a whole. Mobile Freedom – Enjoy a world of communication with no contract, no calling cards, no access numbers and no hidden fees. More Destinations – Connect across the world with no limits, no borders and prices you can afford. Customization – Start with an Ultra plan and then personalize it with UltraUp – easy-to-add talk and data to fit your needs. Convenience - Check your balance, recharge your monthly plan, select language preferences via our customer portal – accessible 24/7 online or from your mobile phone. Affordability – Unlimited domestic and international talk and text plans starting at $19/month! Coverage – It’s easy to stay in touch with connections to 60 international destinations and one of the nation’s largest 4G LTE mobile networks behind you. Customer Service – From your neighborhood wireless retailer to our global service team, we are there for you to make sure you have an Ultra experience every step of the way. Ultra Mobile has introduced a number of changes to its prepaid offerings. Ultra Mobile adds new $39 plan and improves $34 plan by adding unlimited calling to Mexico mobile numbers. The carrier also discontinues $44 Data Plus plan with first 4GB of data at 4G LTE speeds and $59 plan with unlimited service, international features and first 2.5 GB at 4G LTE speeds. Ultra Mobile changes start being effective, January 21, 2016. The new $39 plan includes unlimited domestic and international calling to 60 worldwide destinations, unlimited global texting, unlimited data with first 2GB at 4G LTE speed and a $2.50 Call Anywhere credit. Current $39 plan, however, offers unlimited talk and text domestic and international, domestic picture messaging and data with first 750 MB at 4G LTE speeds plus international features as $6.25 Call Anywhere Credit, 1000 Free INTL Minutes to over 15 countries plus unlimited international calling to 60 countries. Ultra Mobile customers who are enrolled to the old $39 plan prior to January 26, 2016, will be able to keep it. The $34 plan has been changed too. First, the plan is not labeled as the Data Plus plan anymore. Also, the plan now includes unlimited calling to Mexico for both landline and mobile numbers. Previously, calling Mexico mobile numbers were charged 2.5 cents per minute. These charges have applied only to the $34 and the $44 Data Plus plans (the rest of the Ultra Plans included unlimited calling to Mexico mobiles) but now that $44 Data Plus plan is no longer available, all Ultra Mobile plans include unlimited calling to Mexico mobile phones in addition to landline numbers. Remember, you must have an unlocked cellphone! Before you can take advantage of Ultra Mobile’s Unlimited Talk and Global text, make sure you have an unlocked cellphone, so that it is free to accept any sim card from any service provider. 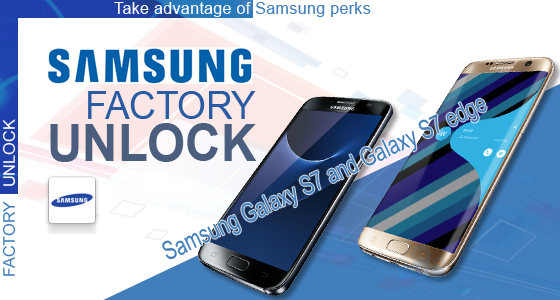 If you want to break free from your current service provider Unlimited UNLOCK can unlock your phone in minutes, quickly, easily and cost effectively. $19 plan – unlimited talk, unlimited text domestic and international, picture messaging limited to available data, 100 MB at 4G LTE speeds, $1.25 of Call Anywhere Credit and unlimited international calling to 11 countries (including unlimited calling to Mexico landlines and mobiles). $29 plan – unlimited talk, unlimited text domestic and international, picture messaging limited to data available, 1 GB at 4G LTE speeds, $2.50 of Call Anywhere Credit, 1000 Free INTL Minutes to over 15 countries plus unlimited international calling to 60 countries. 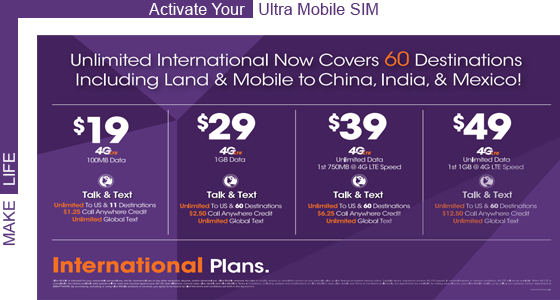 $34 plan – unlimited talk, unlimited text domestic and international, unlimited data with first 2 GB at 4G LTE speeds, and unlimited international calling to 11 countries including unlimited calling to Mexico landline and mobile numbers. $49 plan – unlimited talk, unlimited text domestic and international, domestic picture messaging and data with first 1 GB at 4G LTE speeds, $12.50 Call Anywhere Credit, 1000 Free INTL Minutes to over 15 countries plus unlimited international calling to 60 countries. When high speed data limit is reached in a month, Ultra Mobile throttles data speeds to around 128 Kbps. Ultra is charging taxes and fees with all airtime purchases and plan renewals that add $1 value to $10.01 worth purchases or higher and $0.50 to $10.00 purchases or less. Attention iPhone 4S, 5, 5C, 5S, 6 and 6 Plus users: Upon updating to iOS9, Ultra subscribers with these iPhone models will need to re-enter their MMS settings. Please follow the iPhone Guide for instructions on re-entering MMS settings. Do you want to manually select your model? Click here. To activate on the plan of your choice, you can call, and follow the instructions on the screen. Ultra Mobile have championed low cost national and international calling, and if you’re looking for a great deal, right now theirs is the best prepaid sim card deal on offer in the US. Ultra Mobile offers nationwide coverage including ultra fast 4G LTE data. The fastest way to get Ultra Mobile service is to find a store near you.